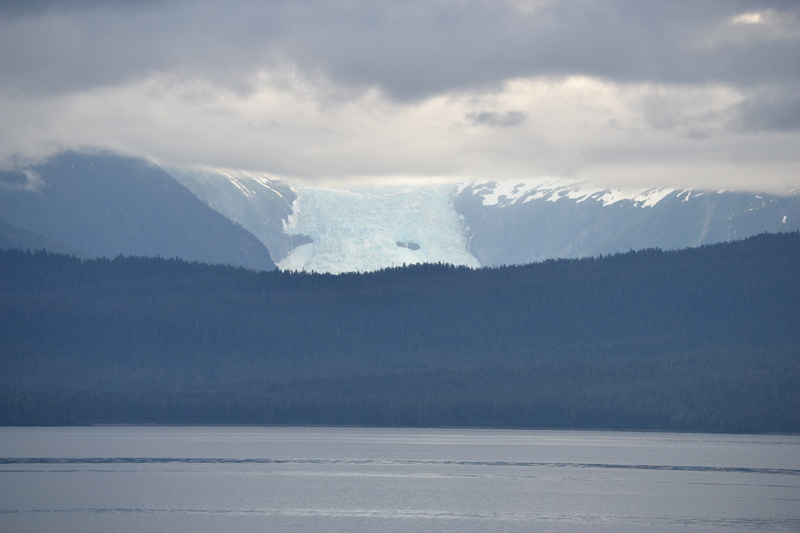 Another very grey morning, we are back in Alaska after a long sunny week-end in Paradise. Calm seas though which is good to leave Petersburg fighting strong currents and then going with them all the way across Frederick Sound past Cape Fanshaw. 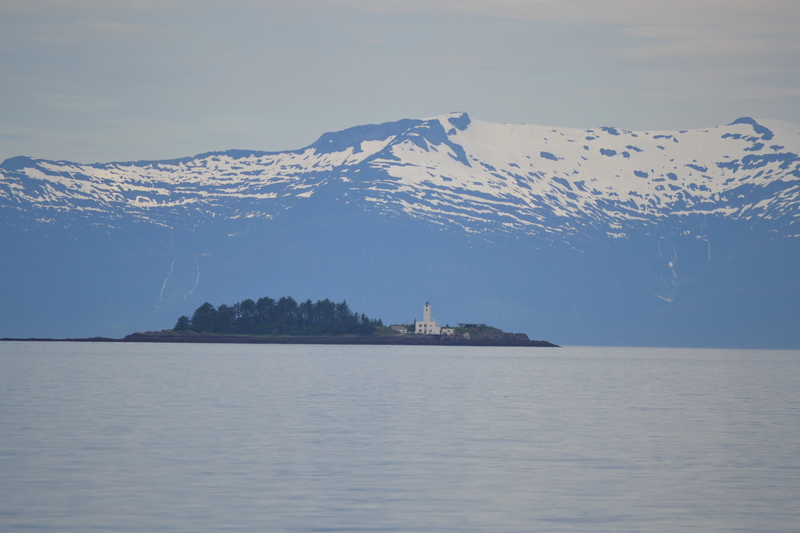 We see the Five Finger light house, which was the first manned lighthouse to operate in Alaska (1902). It was also the last manned station in the state when it became automated in 1984. The present structure was built after the original frame construction was destroyed by a fire. 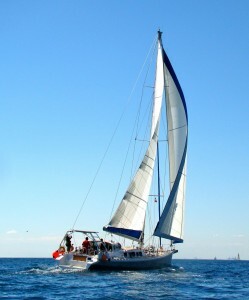 It was constructed of reinforced concrete in 1935 and built on a concrete pier. The one story building contains a 68 ft. square tower housing a fourth order electric light 81 ft. above the water. Spotted a humpback in the distance today and so did Richard from his kayak, but there were not captured by camera as both were a case of spray, show my big tail, dive and disappear! 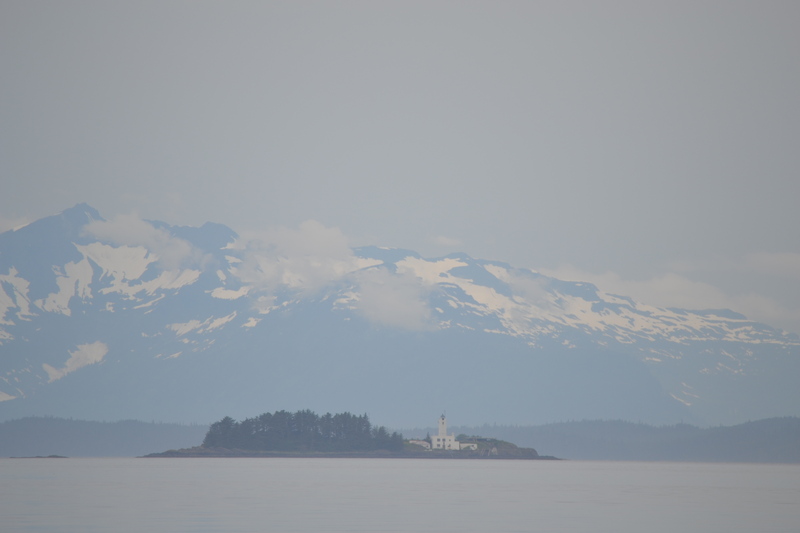 This entry was posted in The Log and tagged alaska, five fingers light house, Inside passage, sailing. Bookmark the permalink.